The orderly arrangement of atoms in the structure of a piece of semiconductor or other crystalline material can be deformed by applying very less strain, where the deformation could be sufficient to cause drastic variations in its properties, such as the way it transmits light or conducts heat and electricity. At present, a group of researchers at MIT and in Russia and Singapore have discovered means to apply artificial intelligence to estimate and control these changes, prospectively opening up new doors for studies on advanced materials for future high-tech devices. The outcomes of the study have been reported in the Proceedings of the National Academy of Sciences this week, in a paper authored by Ju Li, MIT professor of nuclear science and engineering and of materials science and engineering; Ming Dao, MIT Principal Research Scientist; and Zhe Shi, MIT graduate student, along with Evgeni Tsymbalov and Alexander Shapeev from the Skolkovo Institute of Science and Technology in Russia, and Subra Suresh, the Vannevar Bush Professor Emeritus and former dean of engineering at MIT and current president of Nanyang Technological University in Singapore. Even earlier, based on earlier research at MIT, elastic strain of certain degrees has been integrated into a few silicon processor chips. In some cases, even a 1% change in the structure could enhance the speed of the device by 50%, by enabling electrons to move through the material faster. A recent study by Suresh, Dao, and Yang Lu, a former MIT postdoc now at City University of Hong Kong, demonstrated that it is possible to elastically stretch even diamond, the hardest and strongest material found in nature, as much as 9% without failure if it is in the form of nanometer-sized needles. The same way, Li and Yang showed that it is feasible to stretch silicon nanoscale wires purely elastically by over 15%. These findings have opened new ways to investigate how devices can be fabricated with even more drastic changes in the properties of the materials. In contrast to other means of varying the properties of a material, such as chemical doping in which a permanent, static change is produced, strain engineering enables properties to be modified on the go. “Strain is something you can turn on and off dynamically,” stated Li. However, the capability of strain-engineered materials has been affected by the dreadful range of possibilities. It is possible to apply strain in any of six different ways (in three distinct dimensions, each one of which can generate strain in-and-out or sideways) and with almost infinite gradations of degree, hence the complete range of possibilities is impracticable to analyze merely by trial and error. “It quickly grows to 100 million calculations if we want to map out the entire elastic strain space,” stated Li. This is precisely where the researchers’ innovative application of machine-learning techniques lends a helping hand, offering a systematic way of investigating the possibilities and homing in on the suitable direction and amount of strain to realize a specified set of properties for a specific purpose. “Now we have this very high-accuracy method” that dramatically decreases the complexity of the calculations required, stated Li. This work is an illustration of how recent advances in seemingly distant fields such as material physics, artificial intelligence, computing, and machine learning can be brought together to advance scientific knowledge that has strong implications for industry application. According to the researchers, the new technique could open up possibilities for developing materials tuned specifically for optoelectronic, electronic, and photonic devices that could find application for information processing, communications, and energy applications. The researchers analyzed the effects of strain on the bandgap, an important electronic property of semiconductors, in silicon as well as diamond. With the help of their neural network algorithm, they could estimate with high accuracy the way different orientations and amounts of strain would influence the bandgap. “Tuning” of a bandgap could prove to be an important tool for enhancing the efficiency of a device, like a silicon solar cell, by getting it to match more accurately the type of energy source that it is developed to harness. By tweaking its bandgap, for instance, it might be feasible to develop a silicon solar cell that is just as effective at tapping sunlight as its equivalents but is just one-thousandth as thick. Theoretically, the material “can even change from a semiconductor to a metal, and that would have many applications, if that’s doable in a mass-produced product,” stated Li. Although in some instances it is feasible to induce analogous changes by other means, for example, subjecting the material to a strong electric field or chemically modifying it, those variations tend to have various side effects on the behavior of the material; by contrast, changing the strain has very few side effects. For instance, Li explains, an electrostatic field usually affects the operation of the device since it hinders the way electricity flows through it. Whereas a change in the strain generates no such interference. Diamond exhibits immense potential as a semiconductor material, despite that it is still in its infancy when compared to silicon technology. “It’s an extreme material, with high carrier mobility,” stated Li, referring to the manner in which positive and negative carriers of electric current move freely through diamond. 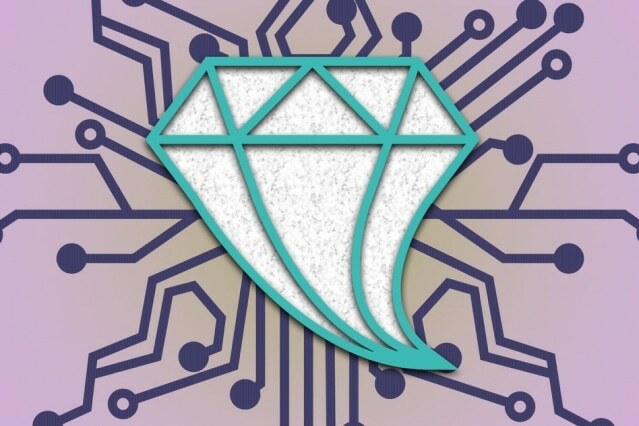 Due to this, diamond could be perfect for certain types of high-frequency electronic devices as well as for power electronics. According to Li, by certain measures, diamond could prospectively perform 100,000 times better compared to silicon. However, it has other limitations, such as the fact that nobody has yet come up with an ideal and scalable way to build diamond layers on a large substrate. Moreover, the material is hard to “dope,” or introduce other atoms into, which is an important part of semiconductor manufacturing. According to Dao, “we can have considerable flexibility” in modifying its dopant behavior by mounting the material in a frame that can be tweaked to alter the orientation and amount of the strain. While the focus of this study was particularly on the influences of strain on the bandgap of the materials, “the method is generalizable” to other aspects, which impact not just electronic properties but also other properties like magnetic and photonic behavior, stated Li. From the 1% strain being used in commercial chips currently, various new applications emerge now that the researchers have demonstrated that strains of almost 10% are possible without fracturing. “When you get to more than 7 percent strain, you really change a lot in the material,” he stated. This new method could potentially lead to the design of unprecedented material properties. But much further work will be needed to figure out how to impose the strain and how to scale up the process to do it on 100 million transistors on a chip [and ensure that] none of them can fail. The study was supported by the MIT-Skoltech program and Nanyang Technological University.